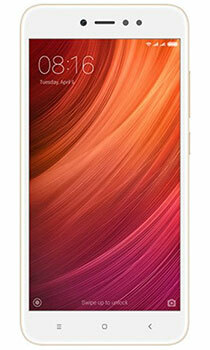 Redmi Note 5A Prime takes on a metallic and stylish appearance while remaining extremely lightweight at a mere 153g. 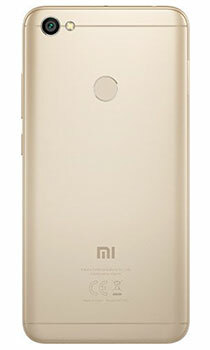 Perfect for work and play, the Xiaomi Redmi Note 5A Prime offers Dual SIM capabilities and microSD expansion, to expand the 32GB memory up to 128GB. Securely lock your phone and sensitive files with a touch of the fingerprint sesnor. Enjoy the a fast and efficient mobile experience with the Qualcomm Snapdragon 435 octa-core processor that ensures quick and smooth performance, even when you're playing visually-intensive games. Adreno 505 graphics processor and the expandable storage up to 128GB (VFAT format) allows you to enjoy and store more of the photos, games and videos that you love. Capture sharper and more vibrant self-portraits with the incredible 16 megapixel selfie camera, with innovative Beautify 3.0 feature that enhances your natural beauty while preserving original facial details every time. The 13 Megapixel rear camera includes a ƒ/2.2 aperture and Low light enhancement to capture the moment whatever the light.